Not Happy With Your Waco Dentist? I am Dr. Steven Cutbirth. We are located at 1613 Lake Success Dr in Waco, Texas. I have been practicing advanced dentistry since 1981 and am a member of Center for Aesthetic Restorative Dentistry. By working with an experienced dentist, anyone can have a smile they want to show off. Perhaps your smile is unforgettable and you only need a cleaning. Our talented Steven T. Cutbirth DDS dental hygienists perform thorough deep cleanings to remove plaque and tartar and keep your teeth and gums healthy. If you don’t currently have a dentist, or are not happy with your current dentist, we invite you to visit Steven T. Cutbirth DDS for an informative consultation and examination. 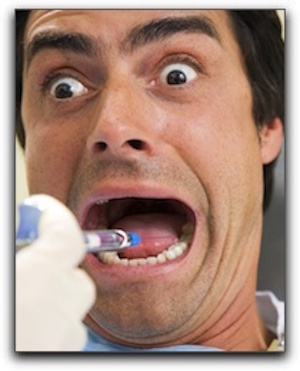 Does Your Dentist Conjure Up Cavities?